The question sounds simple enough. According to Miriam Webster, collaboration occurs when one “works jointly with others or together…”. But according to a recent report by Forbes Insights, people define collaboration in different ways. Some consider technology and tools essential to collaboration. Others believe that regular face to face individual interaction is the defining characteristic. Even others think that true collaboration is impossible without the proper projects and workload to structure the collaborative process. Ideally, it is some combination of the three. 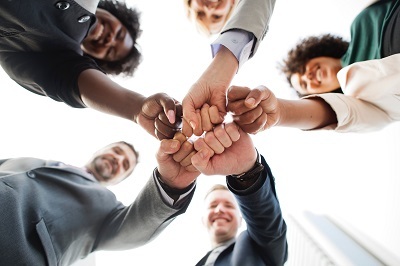 The Forbes Insights team asserts that driving true collaboration and resulting productivity requires that companies acknowledge and build a strategy around all three: “the roles of individuals, the nature of the work…, and the tools to drive teamwork.” This is because each one, if not handled properly, could lead to ineffective collaboration and problems in the work environment. Imbalance among team members on a project will hinder collaboration. Too much reliance on the skills and expertise of too few can create such an imbalance, making it difficult for the experts to fully contribute to the project due to the need for them to support others. Those with less expertise will have trouble contributing as well because of over-reliance on the few. For collaboration to work, each team member must have a defined role and be able to contribute equally. For collaboration to be effective, the project must be appropriate for teamwork. Too often, companies put teams on projects that might have been better left to an individual. If the type of work involves multiple departments, many moving parts, and deliverables to various stakeholders, it is a good fit for a collaborative approach. Collaboration won’t work without the right tools for the job. It is critical for an organization to supply these tools to their teams to enable effective collaboration. At a minimum, there must be space for team members to innovate by creating/utilizing their own tools to get the job done. So much of the sales and customer success industry is centered on collaboration, whether it relates to customer feedback, aligning to customer business outcomes, or collaborating directly with the customer representative to tailor a proposal or track delivered value. Reps need to be careful when using the term collaboration in this context: customers might think that the experience will center only on a tool and not on human interaction. Or they might think that we are only asking for operational project planning and not strategic input. 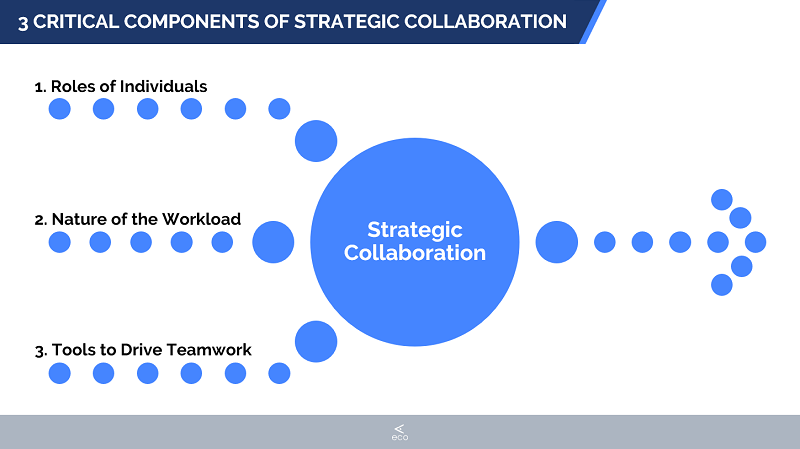 True strategic collaboration touches on all three of the collaborative components: Individual interaction, appropriate workload, and effective tools. Sales and CS reps need to be aware of this breakdown and distinction in order to truly affect positive and meaningful collaboration in their business processes. Learn more about strategically collaborating with your customers in our Voice of Value Podcast here.